There is absolutely nothing better than receiving a compliment. 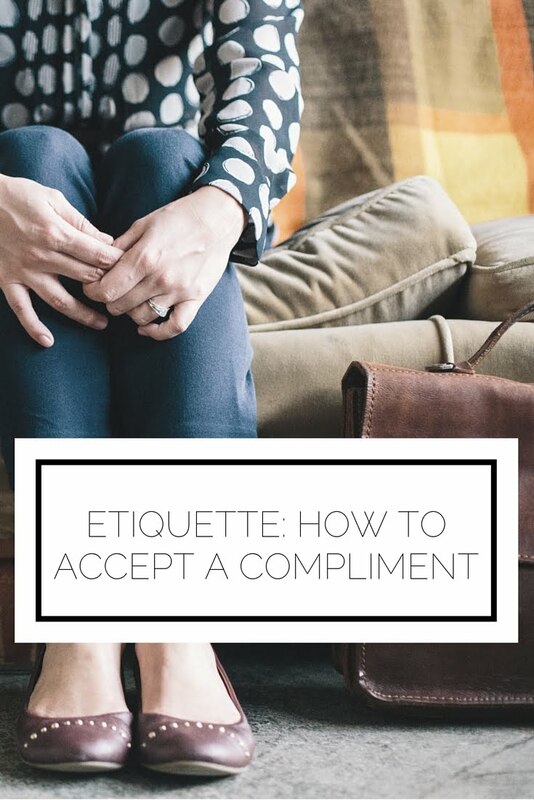 Whether you know you did a great job and anticipated being recognized for it, or the kind words are a complete surprise, knowing the etiquette for accepting a compliment is useful. Here is what you should keep in mind the next time you are honored with recognition. Say thank you. This may seem obvious but it is oh so important to make sure the other person knows that you are truly grateful that he or she took the time to compliment you. Never contradict it. If someone says your hair looks smashing today, don't tell him he is absolutely wrong and that you haven't washed it in four days. It's much, much, much better to say thank you and leave it at that. Express appreciation. Along with saying thank you I also often add, "That's very kind of you to say." Make sure that the person knows that you find what he is saying to be pleasing. Don't return a compliment for the sake of it. We have all given someone a compliment only to have a disingenuous one thrown back at us. Not only does it feel fake, but there is no real appreciation being shown on the part of the person who was originally complimented. If you do actually want to compliment the person who said something kind to you, either wait until later in the conversation or make sure what you're going to say is very specific so it doesn't come across as a standard compliment you use when you don't have anything else to say. Be modest. Try not to reply "I know," even though you do probably know when you've done something great. Even in jest, this response can come across as conceited and the complimenter may be wary of sending encouraging words your way in the future. Recognize others when appropriate. If you're being complimented on a group effort be sure to point out the contributions of others as well. For example: "Thank you, that was kind of you to say. Trisha and Bill were also a major part of making this project a success. It wouldn't have been as great without them." Easy enough, right? 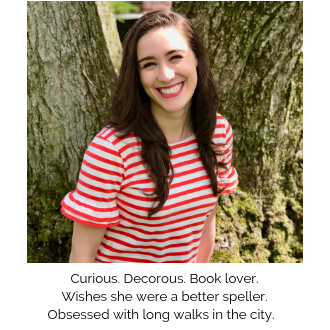 I am sure all of you lovely readers face this on a daily basis so hopefully you found this helpful and now know how to receive compliments with poise and grace. How do you usually respond to a compliment? Love this! I'm terribly at receiving compliments, because I'm just so awkward. I say "thanks but nooo" or "Nooo you're much prettier" and things like that. I really have to just say Thank You nicely and leave it at that without rejecting it! Thank you Alyssa for posting this! When I receive a compliment I alway say something not appropriate to the situation, haha! I need to learn to just say thank you. This is a great post! I love it when I compliment someone and they accept it graciously. This is such a struggle for so many! It shouldn't be!